The extension to the Freeport is interesting for obvious reasons - because it will directly affect the site and its residents. But more interestingly it presents an opportunity for planning gain - a system whereby the developers would be required to develop a project alongside the Freeport extension that would benefit the local community(a system similar to Section 106 in London). This project aims to give value back to the area. I am interested in finding an architectural way of saying, 'the freeport, gas plants etc etc exist and they are not going anywhere, whether we like it or not. This is the new landscape of the area - cranes, containers, etc.. and there is no hiding it - How can we face up to it, acknowledge it and make this town a better place?". It would be perfect if this were to be funded by the freeport - even if only in theory. 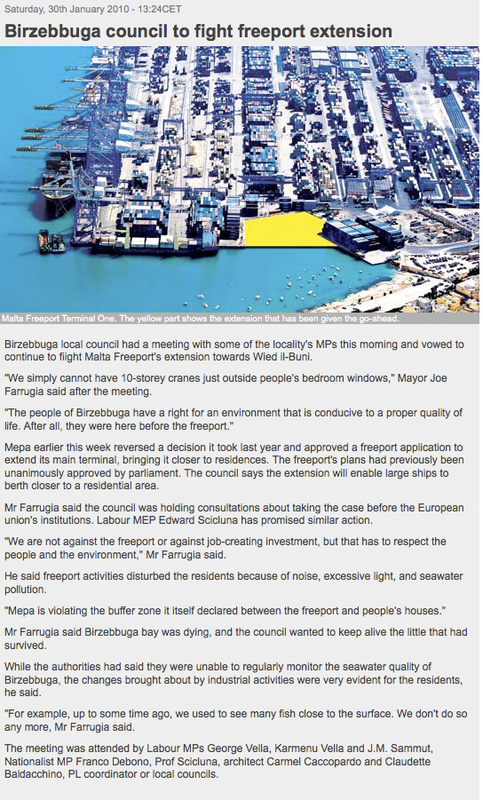 To quote a project friend and x-resident of Birzebbuga "in Birzebbuga (and the South in general) the citizens have suffered environmentally by Power Station on Marsaxlokk, Freeport, Gas Bottling Plants, Factories in Hal Far, Concrete Plants, Cargo Groupage bonded stores, illegal immigrant tents and very few embellishments and leisure facilities. 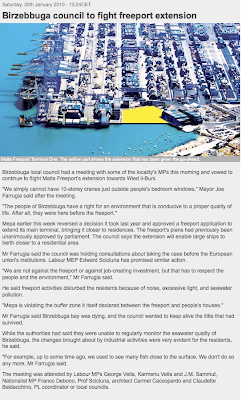 If the Freeport were to contribute to a better life, tourism and leisure in Birzebbuga it would win many points, even politically."